It has finally struck me, albeit in the middle of the night. I have been pondering why, in the face of all the evidence and despite a growing willingness on the part of all nations to address the issue, efforts to reverse climate change are so insipid. Climate change is still in the too-hard basket. Conference after annual conference never fails to disappoint us and Warsaw 2013 wasn’t much different. A Guardian commentator called Warsaw "more like a shuffling of feet". OK what is this Road to Damascus discovery? It is to do with affordability. We are trying to add an extra tax, a carbon tax in a context of deflation, where the affordability of everything is declining. Prices are going up relative to disposable income. We are losing our purchasing power (well apart from the 1% I suppose). So it is no surprise the climate change issue is too hard for politicians. Given the choice of putting up petrol and electricity costs when their constituents are already suffering, politicians will kick for touch and argue they need a ‘balance’. Disappointment is inevitable. Well then how do you solve this political problem? The answer is by addressing the affordability issue head on. So let’s look at what is reducing the purchasing power of people on this planet? Why, it is the same old two culprits – the bank issued money system and the illogical tax system. What do I mean? Well if money is issued as interest bearing debt, then interest is built into the price of all goods. How? Every car comes out of a factory whose owners borrowed money at interest from banks. Every piece of furniture, clothing and kitchen goods is manufactured where the owner borrowed money from a bank at interest to do so. Every potato, every steak, every drop of milk and every orange came from a farm whose owners were mired in debt to a bank. The cost of the bank interest is built into the price of all goods. So if we issue money without debt the price of goods relative to wages will drop. Purchasing power will increase. Affordability will improve. Then there is the incredibly silly tax system. When we tax labour, every manufacturer or primary industry producer has to build the tax in to the price of their goods. Take off income tax and your purchasing power increases. It is the same as GST and company tax and a range of other illogical taxes. So part of the price of all primary produce and manufactured good is the burdensome tax and the totally unnecessary interest charged when issuing money. Solve those two problems and our purchasing power rises. Our solution of having a parallel national currency spent into existence without interest and unburdened by these deadweight taxes will dramatically give more purchasing power. Affordability will improve. See this slideshow or read this site for more on this. So when we change the tax system away from taxing labour and sales and towards charging rents on the right to use the commons, including the biosphere, it will be politically more possible to do something significant about climate change. After all, in proposing a carbon tax, climate change activists are only asking for a regular rental on the right to use the biosphere to get rid of their greenhouse gases. If a currency flows freely through the economy and only meets opposition when it comes up against the constraints of the commons, it will stimulate innovation in producing and manufacturing clean liquid fuels and give impetus to the whole post fossil fuel economy. The term "green growth" will transform from rhetoric to reality and innovation will thrive. 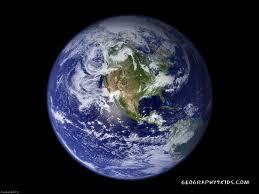 Earth is a living ecosystem and necessarily the model for the human economic system. The words ecology and economy have the same Greek root ‘ekos’, meaning ‘home’ or ‘earth’, so our economy is a subset of our ecology. All life-based systems are unique home economies – Earth, nations, states, cities, towns, communities, families, and each living being. Each economy can only survive in balance within natural limits. Financial collapse is caused by an interest-bearing debt-based money system and a grossly overinflated ‘shadow economy’. These cause rising debt as “promises to pay” that cannot be met by the real economy. Energy collapse is caused by our economic dependence on fossil fuels and the new reality of relentlessly declining energy returns, leaving less energy to drive the economy. Biosphere collapse is caused by the real world demands of the growth-based economy, required to service exponentially expanding interest-bearing debt. Societal collapse is the descent into social unrest, the police state and militarism, driven by the above. Private banks create money as a commodity for private profit, causing cycles of boom and bust as the money supply expands and shrinks. The lack of balance is destabilizing. Scarcity of money during recessions/depressions causes unemployment and turmoil. The interest mechanism automatically transfers wealth upward from those with the least to those with the most, increasing income inequality. This undemocratic money system leads to social polarization and social collapse. Interest-bearing debt expands exponentially, demanding perpetual growth of GDP despite our finite Earth, which exhausts all human and natural ‘capital’. The need for growth is inflationary, promoting unproductive speculation in financial markets and real estate, inflating house prices, and eroding the productive economy. A tax system which taxes labour, sales or enterprise discourages work discourages trade and discourages enterprise. It also greatly reduces people’s purchasing power (though there are cases for reducing this e.g. tobacco, alcohol, fossil fuel etc.). A tax system like this encourages property speculation, reduces productivity and concentrates wealth with landowners. When we tax these three but fail to tax land, we invite taxpayers to use tax havens and do under-the-counter trades, resulting in lost government revenue. Land cannot be hidden offshore. However, though it has been recommended for centuries, a land tax in the 21st century is a politician’s nightmare. Successive tax review by Inland Revenue, Treasury and universities have recommended land tax, but no government has implemented them. In fact there is actually a law prohibiting land tax in New Zealand, probably enacted to please the banks. People already pay on their property two payments – rates and mortgage – so the possibility of government imposing a third burden is zero. In fact it is political suicide for any politician to recommend land tax, no matter how small. Yes, the banks have claimed land for themselves, as it is their best security on their loans. They vehemently oppose land tax and so governments have to be content with taxing a less secure asset – income taxes. Banks love lending on property because as the price of land rises, so does the size of their loan portfolio. A means tested welfare system with an intrusive state and a ‘benefit trap’ is trapping our unemployed and dampening enthusiasm for working. It is also complicated and expensive to run and requires billions being spent on IT systems. The benefit system with its various income support schemes which favour the children of employed over the children of the unemployed like Working for Families is basically unfair. A Universal Basic Income has been recommended for centuries, starting when someone saw thieves hanging in the street and said it would be better to pay them a living wage. However there has been no progress. All of the above – monetary reform, a Georgist tax reform and a Citizens Dividend – would if introduced suddenly shock the economy. All of the above have attracted loyal movements that have made virtually no progress over the centuries. It is important to reflect on the reasons for inaction. Each major reform would shock the economy. Publicly created permanent debt-free money as a medium of exchange for public benefit, circulating permanently, its volume regulated by a publicly accountable body. A sufficient, balanced supply of money is stabilizing, promoting business and employment. Reliable public revenue without debt or interest is spent directly into the economy. It is critical to take the power from the banks to create the country's money and return this to the people. Tax will be removed from ‘good’ activity like work and enterprise and trade, and will be imposed where people take more than their share of the commons or impose a burden on the commons. A Citizen’s Basic Income removes the need for Social Welfare and numerous income support programmes. It avoids the ‘benefit trap’ and allows voluntary work and new businesses to thrive. A stable money supply that is neither inflationary nor deflationary, and flows freely into productive investment in the real economy. First we need to explain why we are applying a broad-brush approach to reform, not doing it piece by piece. When family therapists are presented with the problem of a difficult adolescent, it is important to treat the family as a whole system, rather than just look at the presenting problem, the adolescent. Tweak just one part of the system and the whole becomes healthier. You seem to solve all sorts of problems. But if you just try and fix one problem at a time, it won’t work. The original problem tends to persist. That is because the issues don’t exist in isolation and the relationships continue. You can’t divide up a system because you break the links and destroy the patterns. It is the same for any living system. The challenge is to intervene at the points where it is going to effect the greatest change. This is in the areas of goals of an economy and the fundamental paradigms which are taken as gospel. Those paradigms are the basic beliefs and ‘givens’ of a system. In our case, we have an economic system showing a range of Big Problems. First we have the property bubbles in Auckland and Christchurch while the economy in the regions stagnates. Second we need to sort out the welfare mess by introducing a universal payment, the UBI. Third we need to get a tax system that taxes what we hold or take, not what we do or make. (Taxing labour and enterprise is counterproductive, while it is quite fair to tax those who take or use more than their share of the commons.) Fourthly we need to move from privately created interest-bearing money to publicly created interest-free money. These big issues are all connected through banks, land and taxes. If there is quite a simple solution where, if you tweak one or two parts of the system and the other problems solve themselves naturally, then we should use it. This is the systems approach. You don’t tackle the intractable problems issue by issue; you look at the whole integrated system and choose your point of intervention that gives the greatest leverage. In that way the fundamental relationship between the elements of an economic system will remain intact. You will notice we are suggesting the point of intervention that has the most leverage – the currency, tax and land. We have paid attention to what is important. Changing the paradigm from a currency monoculture to a currency ecosystem is going to bring big change. Changing the tax and welfare systems will also have a major effect. Second we set up a small new system parallel to but very different from the old system. This proposal will put in place the small beginnings of a new and healthier system to coexist with the earlier deadly system as the old system dies away. So we are going to start a new currency with new rules. This will be the beginning of the new healthy economy. The old economy will die and a new one will be born. It’s a transformational change. In order to transform the tax system from taxing labour, sale and enterprise to only taxing land and the use of the commons, you need to link that new tax system to a completely new currency. It can’t be done effectively otherwise. New life is full of health and vitality. Just as new growth in a forest after a fire appears slowly, so will this process be gradual. Note that by setting up a fledgling parallel system we have not just fiddled round the edges. We have changed the whole paradigm. So we would expect major change. Using Tradeable Tax Credits, Treasury gradually buys up the land of homeowners who opt into the system voluntarily. Government doesn’t want to use New Zealand dollars – first because it hasn’t got enough of it and second because Government wants to link the vouchers to a new tax regime. The dated Tax Credits are to ensure that Treasury issues just the right amount so as not to cause inflation. The date by which it must be redeemed also serves as a circulation incentive. Then Government makes the rules for these tradeable tax credits. They say trades in Tax Credits will not incur income tax, GST or company tax. IRD is not involved with them except insofar as it imposes "land rates" and resource taxes. Full land rates would be set if possible by tender or auction and the lessee will pay it in perpetuity to Government, the revenue to be shared in some proportion between central and Local Government. A Land Rates Index would be established for each general area and rates adjusted annually or biennially according to the rates index. Note the rates are not indexed to inflation. Rates vary very little unless there is an earthquake, subsidence or new infrastructure or a significant business arrives in the area or departs from it. There would be no impediment preventing the Tradeable Tax Credits from being freely traded with NZ Dollars. Employers will want the Tax Credits and importers will want the New Zealand Dollars. The Tax Credits would be issued at par and redeemed at par. What happens in between will depend on the sentiment of the market. From time to time Government will issue all men, women and children with a small Citizens Dividend in Tradeable Tax Credits to share some of the revenue with its citizens. This dividend would gradually grow as the area of land in the scheme grew. Resource taxes are imposed on anyone with a monopoly on any part of the commons e.g. 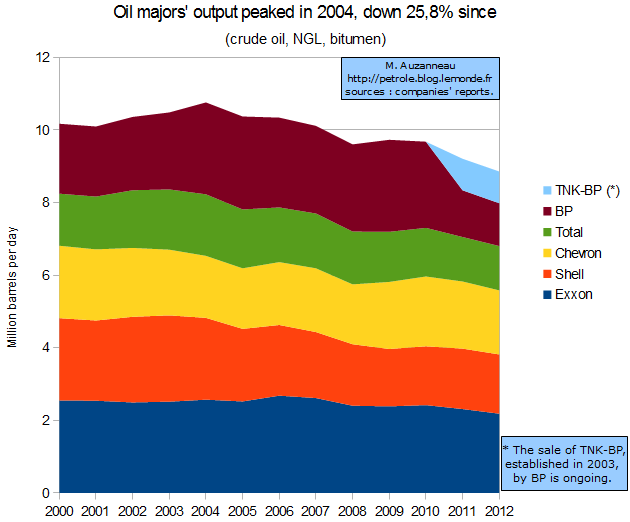 Oil, Coal, minerals, water, fisheries etc. The homeowner who has opted into the scheme receives Tradeable Tax Credits to the value of their land and either puts it in the bank or uses it to pay labour for home improvements or for productive investment and always to pay taxes. The bank lends out the new Tradeable Tax Credits to businesses to pay a portion of their labour and New Zealand materials. New jobs are created. As there will be no need to move to Auckland, labour intensive industries will attract young people back to regions, back to New Zealand. Organic farming and manufacturing will want them. At first some workers are paid only a small proportion of their wages in the new credits. No rates will be payable on any property where the land is Government owned and full land rates are paid. All land owned by those who do not pay income tax in New Zealand. This would have to be done in steps. It also includes trusts and companies who don't pay tax in New Zealand. All land owned by government or local government and intended to be sold off to private buyers would stay with the Government e.g. The “green frame” in central Christchurch. Any other freehold land through an-opt in scheme. 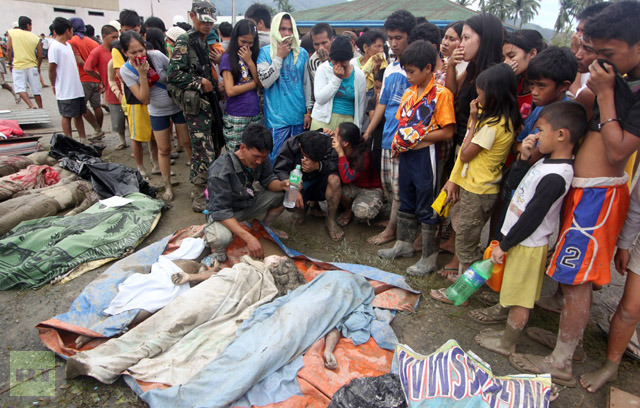 This would not alarm those who are capital rich and income poor like the elderly and would not alarm farmers. It would also take the worry from our would-be subsistence farmers on small holdings. All land under infrastructure like roads, hydroelectric power stations, airports, sewerage or stormwater or water servicing will be required to be converted to leasehold land. Once again to avoid inflation, this must be only done in stages. Dated Tradeable Tax Credits will circulate relatively fast. They will not pool for long in anyone's bank account. People don’t want to find themselves in possession of them when the date arrives, so they trade with it, put it in the bank for the bank to lend out or else pay their land rates early. When a tax credit circulates smoothly without pooling anywhere, it nourishes everything in its path. A trade mutually benefits the buyer and the seller. Even if the Tax Credit goes out of the country there is an incentive for the holder to get it back to New Zealand before its maturity date. These can be exchanged. A market will develop naturally. There are two opposite forces acting. The NZ dollar will be used for importing goods and for those who are travelling overseas. The Tax Credits will be particularly attractive to those who plan to use it to pay for labour because this currency is completely delinked from all disincentives to show initiative. The labour they buy will not be taxed, their employers business will not be taxed and the goods and services produced will not be taxed. The Tax Credits will always be worth one NZ Dollar when it is paid for taxes before the expiry date. It is rather like the NZ Postage stamps they sold us when the 70c stamp replaced the 40c stamp. One stamp will take the letter anywhere in the country. Kiwibank has a “Loaded” card. It is a debit card with embedded chips for each currency. It is issued when a customer travels overseas. Perhaps the Tax Credit could be issued this way, with EFTPOS machines dealing with both types of currency. It is possible each new voucher could have a unique identity so that their circulation speed could be tracked. Transformational reform when carefully and gradually introduced has an exciting range of effects. This policy gives us low cost housing while gradually but fundamentally changing the tax structure. According to the Productivity Commission, the value of land is on average half of the total value of an urban property, but for Auckland it is 60%. Secondly it makes an important but gradual change in the money creation process. Thirdly it starts on an overdue reform of the welfare mess. Fourthly it gradually changes the way we fund local authorities. While it releases much needed liquidity for new businesses it has to be implemented along with adequate controls on resource use through resource taxes e.g. carbon tax. Wouldn’t people cheat the system? History tells us that wherever money is involved people will try and find a way to cheat the system. Some suggest that people will exchange their Tax Credits for NZ dollars and go and buy another property and do it again. But these people haven’t planned to pay their ground rent and this is a large ongoing obligation. In fact wise people will not opt in unless they have a plan to use the new credits productively to create sufficient revenue flow to pay the rent. Most will pay their land rates in advance. Remember the Tax Credits are issued at par and redeemed at par. The sorts of things that happen in between will soon settle down as people learn the rules. The new law will have meaningful penalties for those who default on their obligations to pay land rates. A full ground rent or land rates for an urban or suburban property is ideally set by auction. However, rule of thumb indicates it is around five percent per annum or more depending on the zoning and other restrictions on the land. Location is important. The further away the property is from government services, the lower the rate. Certain land is however, already overvalued e.g. Auckland land and dairy land, so allowances for that would then have to be made. Other restrictions would include land with a QE2 covenant or land under historic buildings or land otherwise used for the public purpose. Although this starts out being small, the first payout will attract a great deal of attention. When people realise these Tax Credits will pay for food and other essentials, they will begin to trust them. Their value relative to the standard currency will rise. As time goes by this dividend will be repeated and will increase, perhaps allowing, say working couples to opt to care for their own children rather than drive to jobs they don’t like. It might also enable inventors to spend more time inventing. Because the dividend of a dependent will go to the nominated carer, it will redress the economic balance of power between those who care for dependents and those who don’t. This raises the status of carers – usually women, raises the standard of care for children and reduces the social service burden on the state. Many carers will opt to spend their dividends on further education. There is also a long known fact that as the education of women rises so does the control over fertility. Shouldn’t relief of mortgages be a first priority? Yes. However in practicality those who opt in at the start will probably be those who are mortgage free because those with mortgages don’t want the hassle of going to their banks and having the bank refuse the Tax Credits. It would be easier in the case of New Zealand owned banks like Kiwibank, the Cooperative Bank, TSB and the SBS. However over 90% of New Zealanders’ mortgages are with the Australian owned banks and the banks might take the case to the World Trade Organisation or other authority to challenge it. So it is better to do the easy things first until the public is onside. Is there a precedent for Step One? Yes. These Tradeable Tax Credits are the same as the Treasury Notes that have been used before in history e.g. China 1912 when there was an uprising. Abraham Lincoln used the US Treasury to issue Greenbacks in 1865 and The UK Chancellor of the Exchequer Lloyd George, on the advice of John Maynard Keynes, issued Emergency Bradbury Treasury Notes in 1914 to pay for World War I. Lord Bradbury was the Secretary of the Treasury. Bernard Lietaer and Stephen Belgin in their book New Money for a New World describe three periods of history in which there were dual currencies. First, Dynastic Egypt, where there was gold for long distance trade and also pottery chards that were receipts for corn taken to a store. The built-in circulation incentive was that when, after a year, farmers came back with ten chards, they were only given nine bags of corn. These pottery pieces circulated for sixteen centuries in a period of relative prosperity. Secondly in the Central Middle Ages in Europe people used gold for long distance trade but silver coins for local trade. The local Lord or Duke, who owned the land and issued the coins, reminted the silver coins at irregular and unpredictable intervals. Though the periods between reminting varied from area to area, a lord might give out, for example, four coins for every five that were brought in. Reminting happened when the Lord died. This practice coincided with a massive period of cathedral building and the authors say the enthusiasm cannot only be explained in terms of religious devotion but in the currency system. Maintenance of water wheels, mills and wine presses was excellent. Ordinary people wore silver buckles. Nutrition was so good that the average height of a woman in London at that time was 1 cm higher than today. Thirdly in Wørgl Austria in 1933 during the depth of the Depression, ‘work certificates’ were paid to council workers who could in turn have them accepted by the butcher, baker, etc because they were redeemable for tax. But each month the bearer of the note had to place a stamp on the note to validate it. During the 18 month period these work certificates circulated, unemployment declined dramatically, bridges were built, people paid their local tax early and visitors came from far and wide to witness the ‘Miracle of Worgl’. Lietaer and Belgin claim that in each period there was prosperity across all classes and a huge building programme. They attribute this favourable economic outcome to the dual currency, and in each case the domestic currency had a built-in circulation incentive. The authors did not describe the tax system of each society, but to my knowledge there was no income tax, sales tax or company tax during this period. In the central Middle Ages tax was more likely to be a regular tithe to the lord or duke, possibly paid in produce. This is basically a land tax. There is also a precedent in New Zealand history for Step Six, a Citizens Dividend. In 1951, after a particularly high wool cheque, the government gave out a five pounds dividend to all families. Why can we see so many bad symptoms start to reverse? If we observe the results of these small actions being set in place, it is truly astonishing. It is almost as though a fallen domino set has begun to rise, piece by piece. Some are totally disbelieving, because we are so used to thinking that only one result is possible. A better, fairer tax system with reliable revenue. You can see it works towards a much simplified tax system where tax evasion becomes impossible, because you can’t hide land offshore. Many tax-based subsidies will cease to exist as GST, income and company taxes are gradually phased out. For example, tax exemptions on aviation, fuel, interest on mortgages simply disappear. The black and criminal economies no longer gain an unfair advantage. When you use the new money to employ a tradesman, you won’t have to hand it under the table. New life in industry, and a sea change in horticulture and agriculture. The new Tax Credits, with a built-in circulation incentive, give opportunities for labour intensive industries to return. The post fossil fuel age will require a whole new set of businesses and these Tax Credits will provide the lubrication. It will be great for organic farming and pest destruction, both of which require a large labour input. Clean green technology will finally blossom and green jobs will no longer need to be subsidised. Lower prices and higher wages. The increased purchasing power, which results when Tax Credits are free of all other taxes, cannot be underestimated. The affordability of labour and of New Zealand produced goods increases dramatically. Holders of the credits find they can access the basics of food and clothing. 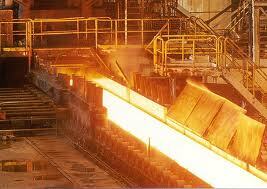 Import substitution starts to happen and clothing factories may re-open. When the Tax Credits circulate unburdened by taxes on labour or trade, prices inevitably drop. When employers pay their employees in Tax Credits, which have no income tax, you get a contented workforce. And when workers discover their Tax Credits can buy necessities without GST they are doubly happy. Issuing of Tax Credits starts a process of gradual but inexorable reduction of private debt. This can only be good for our population and our businesses as all debt under the current system incurs interest. Because there will no longer be the necessity to move to Auckland for employment, it will be great for regional development, which will take some pressure off Auckland housing. The new Tradeable Tax Credits will flow to the regions without impediment. The attraction of Auckland where a growing portion of the economy is in the FIRE section – finance, insurance and real estate – will no longer apply. The two speed economy, where Auckland and Christchurch are going ahead yet the regions are withering and suffering unemployment, will even out. It is the origin of a new method of funding local authorities. No longer will all of their revenue come from the regressive policies of universal fixed charges or from rating on capital values that discourages investment. Maori and Pacific Islanders and low income people will benefit from this policy, as they will all be recipients of the jobs created, and from time to time of a Citizens Dividend. This is quite a list of achievements. The policy is powerful, elegant and simple. It creates jobs, provides cheaper housing and transforms interest-bearing money to government interest free money all simultaneously. And it does the whole thing gradually without shock to the economy. Policy as it affects Maori. Because this is a policy dealing with land and its ownership, it is important to take the proposal round the country from iwi to iwi, preferably by group including Te Reo speakers, because in each rohe and iwi there would be a different situation with respect to the various types of Maori land, incorporations and trusts. However, because the system is an opt-in arrangement, nobody is immediately penalised. A programme to be devised for gradual rollout without causing inflation. There will have to be robust research on the value of foreign owned land, the tax take and the value of land in each category. We need a plan to handle the possible fear engendered in those who want their land to be made leasehold but have their mortgage with one of the big four Australian banks, which comprise over 90% of all mortgages. What is the role of Government in encouraging retail business to accept Tradeable Tax Credits, especially in the early days of implementation? Since the cost of the house and improvements are not included in the proposed mortgage relief, there needs to be other interest-free arrangements similar to the JAK Bank of Sweden6. 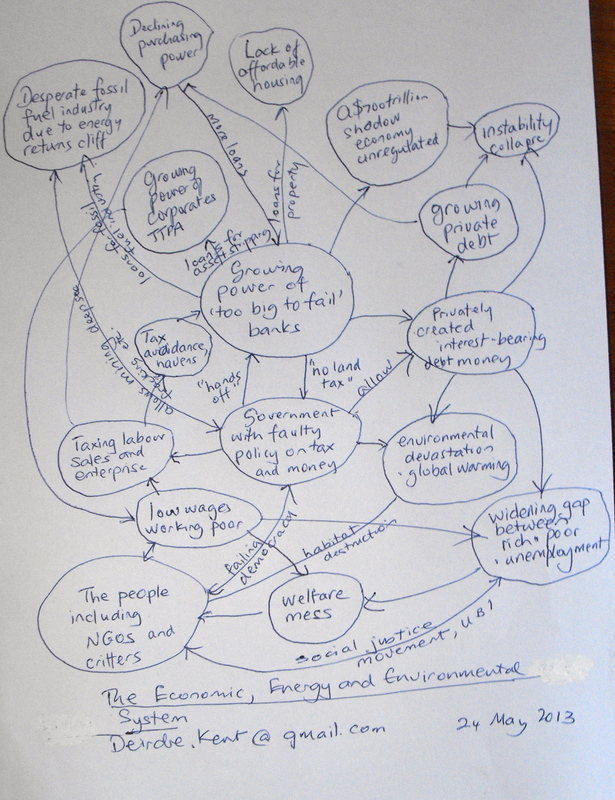 The role of banks in making loans to businesses wanting Tradeable Tax Credits to finance wages and materials. Does this mean the banks finally get to be an intermediary between saver and borrower? On Sunday at 4pm I was lucky enough to hear a wonderful talk on sustainability and economic growth by economist Gareth Morgan on Radio New Zealand, followed by an interview with Kim Hill. Gareth listed some horrifying facts about how badly New Zealand was doing in reducing its carbon emissions. He referred more than once to the importance of having tradeable rights for emissions. That reminded me of something I have been reading from an excellent little 1999 book called The Ecology of Money by the late Richard Douthwaite. Chapter 4, which is on the web, outlines his proposal for an international currency, the EBCU (environmentally backed currency unit) designed to reduce carbon emissions. Like Gareth Morgan, Richard says make the rights tradeable, but in a suitably designed international currency. (if we use the existing currencies the poor countries will still be cheated by the rich ones and will end up no better off. He explains that most countries keep their US dollars and Euros for reserves so that wouldn't end up with the right effect) Then after they have all been traded in for emissions and cancelled, issue less the next year in the same way. And the ration coupons are something called Special Emission Rights SER assigned by the IMF. It all gets a bit confusing and I struggle to understand it. If you read Douthwaite’s chapter 4 it is clear that he has based it on the Contraction and Convergence model of the Global Commons Institute (GCI). He also talks about the work of an independent economist David Fleming. Fleming envisaged that perhaps 45% of each country's allocation would be shared out equally among its population in the form of 'domestic tradable quotas' (DTQs). These would have to be surrendered in addition to cash whenever people purchased electricity or fuel. And if you want to find more a search will lead you to a paper by Molly Scott Cato and Tony Cooper of the GCI. This gives some figures. In my efforts to understand it better, I emailed Molly but she hadn’t done any more work on it since she wrote it. It seems David Fleming died in 2010 and Richard died last year. So I am trying to track down Tony Cooper of the Global Commons Institute. Maybe someone else can help me understand it better? So I was thinking about this in relation to our country’s carbon emissions. 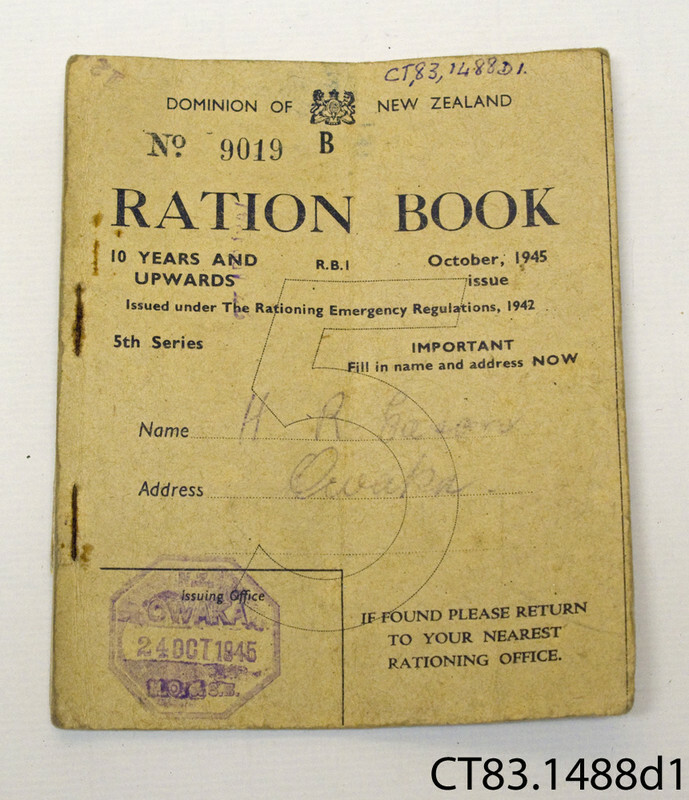 We could issue ration coupons to all New Zealanders, enough to allow for the current carbon emissions. Then we should allow people to sell their rights, but not in New Zealand dollars. They can be bought and sold only in our proposed domestic-only currency, the Zeal. The effect would be that there would be a transfer of wealth from the high carbon emitters to the low carbon emitters. We had ration coupons during the Second World War. I remember my mother taking her ration book to the shop to buy sugar, meat and clothing. You needed them as well as money. You couldn't trade them then. 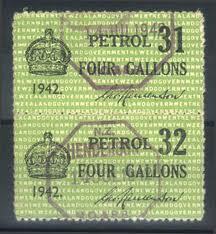 And of course petrol was rationed. China's catastrophic deleveraging has begun. Jesse Colombo is a wonderful researcher of housing bubbles which always precede recessions, and his piece on housing in a range of countries is outstanding. Beijing housing prices are up 800% since 2003. There are bubbles in Hong Kong, Australia, South Korea, Finland etc etc. China. After Spain's housing bubble collapse their cement use dropped 60%. China's cement increase in one year was 25 times what America uses. This site is always being updated. Steve Keen is following the Canadian housing bubble and is closely watching house prices and unemployment in Australia. Also go to http://thebubblebubble.com. One quarter of homes built in US last month were bigger than 3000 sq feet. Annette Sykes thinks John Key should either get a law degree or stay quiet about Maori water rights. Goldman Sachs executives in 2010 took away $15.3 billion in bonuses, enough to feed every hungry person on the planet. They are setting up office in Perth. The film by Renegade Economist's Ross Ashcroft, The Four Horsemen,won a prize for the best documentary at the Galway Film Festival. There are freak tornadoes in Poland, droughts in US, floods in the North Island. A record amount of Arctic Sea Ice was melted in June. There is a website called http://unlearningeonomics.wordpress.com. I guess there is a bit of unlearning to do! Various people are working out if Australia and NZ are being hit by the LIBOR scandal. Paula Bazarotti writes on the Democrats for Social Credit website that "Vast sums of money - up to $500 trillion are notionally attached to Libor. If the Libor rate is manipulated by just the tiniest amount - 0.0001 per cent - it can create a profit or loss of $50 billion."